Ahh, I love a good three day weekend. We started our Saturday out with a mini road trip to Lambertville, MI. First brunch at Bedford Coney Island definitely hit the spot! 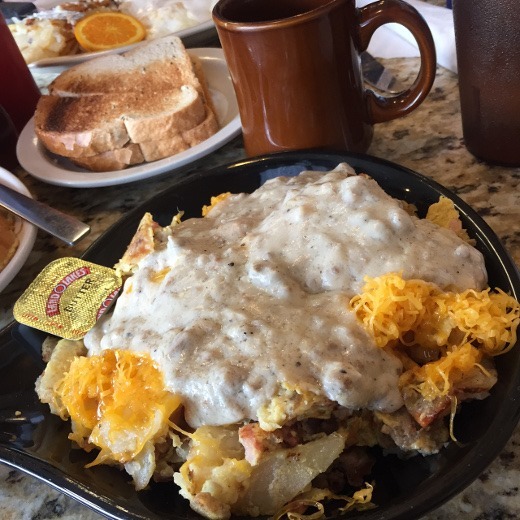 I ordered this breakfast scramble covered in sausage gravy, with a side of seeded rye toast, and coffee, of course. 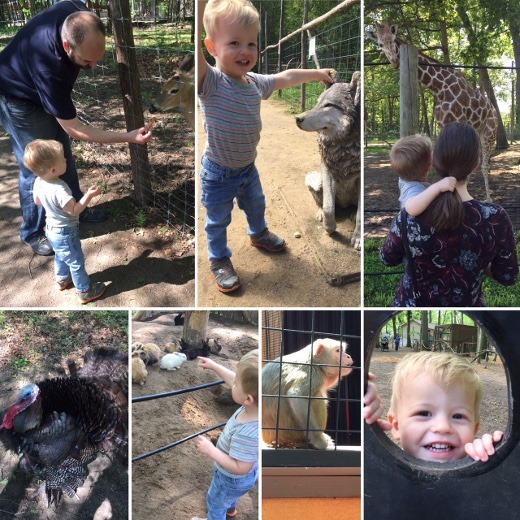 Next we went to the Indian Creek Zoo! 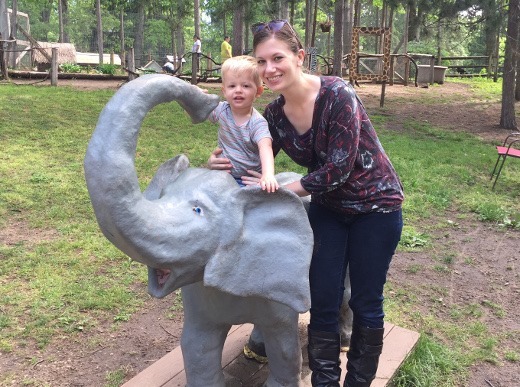 This mom and pop zoo is nestled into a wooded area near the Michigan/Ohio border. It’s totally different from something like the Toledo or Detroit Zoo, but in a good way. Plenty of room to explore, lots of big shady trees, and just a really comfortable atmosphere. The petting zoo is home to a nice variety of animals, including monkeys, a giraffe, bunnies, deer, turkeys, kangaroos, pigs, kookaburra, zebras, and lots of farm animals. Fun! Little guy kept pushing my hands away because he wanted to sit up on the elephant all by himself. Mr. Independent! 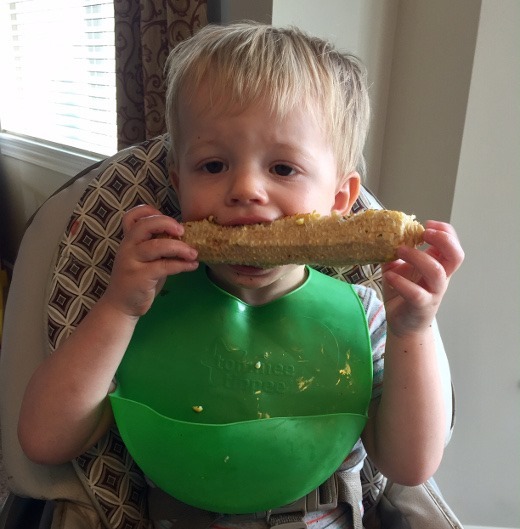 We also did some grilling and found out this kid is obsessed with grilled corn on the cob! He (and we) also highly enjoyed our grilled ribeyes. 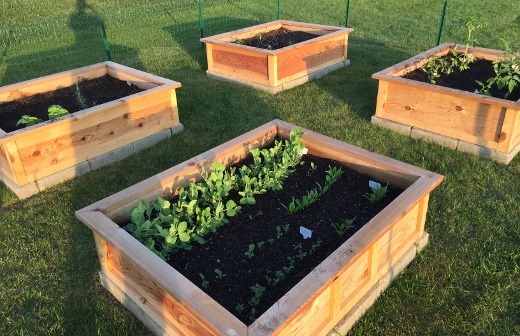 All the seeds I planted several weeks ago are now up (kale, spinach, carrots, peas), and this weekend I bought the rest of my vegetable plants and got them planted in my garden. I have a few herb plants (basil, rosemary, dill), green peppers, tomatoes (four varieties), and broccoli. (Also have one jalapeño plant to add. It will be interesting to see what happens! 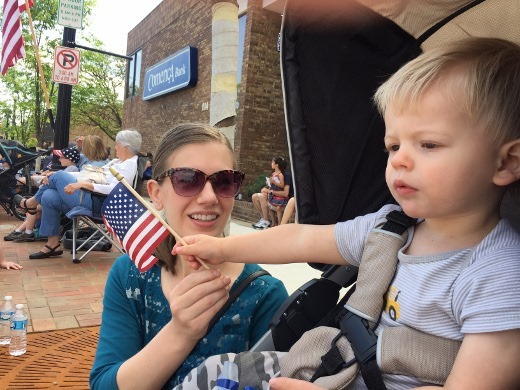 On Monday, we went to the Memorial Day parade downtown Saline. 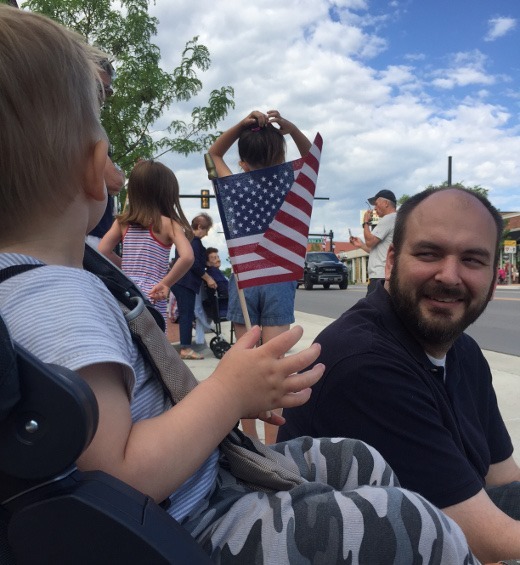 J’s favorite part of the parade was the marching band, especially the drummers. Perhaps we have a future percussionist on our hands? It looks like you had a fun weekend at the zoo and the parade. Your garden looks great ! I enjoyed this post and the photos.